Join us for a lively conversation focusing on the diverse aspects caregiving. We will explore the unique and universal issues that all types of caregivers face, whether the caregivers are adult children looking after their senior parents, individuals caring for someone with a terminal or chronic illness, seniors caring for adult children with disabilities, or even extended families providing support and care for a family member with a mental health challenge. We understand the impact one’s commitment to caregiving can have on your life. Caregiving brings time management constraints as well as physical, emotional, and spiritual struggles. In addition, caregivers confront financial obligations, legal ramifications and workplace consequences. By taking this holistic viewpoint, we’ll offer helpful strategies and resources that can be applied for every personal situation. 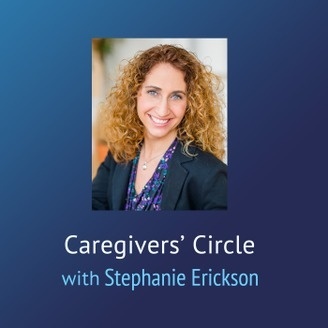 Tune in every week for your solutions on Caregivers’ Circle. I know that all parents probably hear their children, at one time or another, complain that their brother or sister are getting more attention or special treatment than he or she is. Hearing, “But it’s not fair!” is something to which all of us parents can relate. For me, this feeling of unfairness occurs not only in the typical situations, but also in unpredictable times. My son has anxiety and there are many times when his anxiety rises and he needs me. He needs me to leave the room with him, breathe slowly with him, lie down next to him before bed, or stay home from a planned family outing. I see the hurt in my daughter’s eyes when this happens and she has verbalized that she doesn’t have my attention in the same way my son does. What can I do? I want to meet the needs of both of my kids but at times, but if I’m honest, I prioritize my son’s needs when he in crisis, or in order to avoid a crisis. Is this wrong? I certainly feel guilty about it. How do I make up these moments to my daughter when she feels neglected? 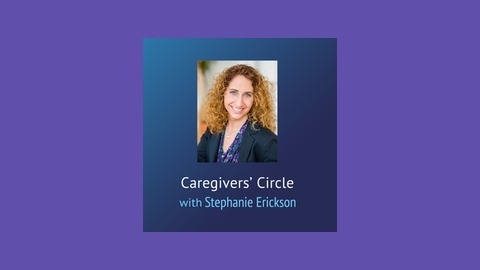 This week’s guest on Caregivers’ Circle is Ann Douglas, author of Parenting Through the Storm. On February 6, 2017 Ann discussed the challenges of raising a child with mental health needs and provided some nice tips on what parents can do to support their child. In this show, Ann and I focus on sibling relationships and the balancing act parents experience when raising a child, or even children, with mental health needs.